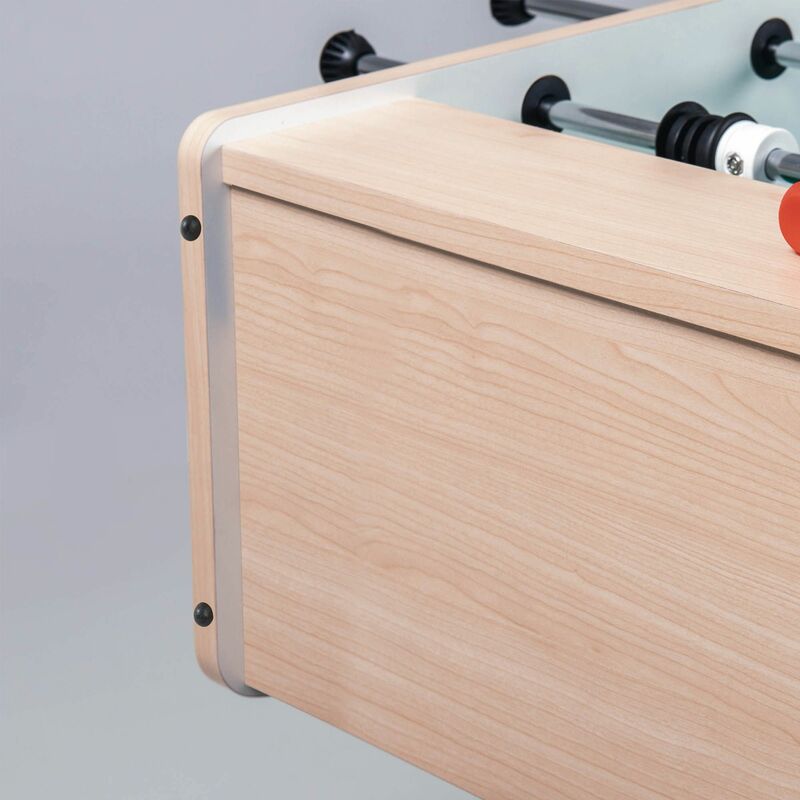 Made from high quality materials to ensure long lasting construction, the Garlando F20 football table is compact folding choice for smaller game rooms and households that ensures the same amount of fun for soccer fans, yet saves much more space in comparison to other football tables. Furthermore, it’s made with sturdy and beautiful maple 16mm MDF cabinet that boasts a melamine finish for added style points, as well as robust 30mm MDF folding legs that ensure comfortable storage when the table needs to be removed from the room. Additionally, the table offers excitement and fun for a whole family or friends when meeting in spare time, and it provides a distinctive appearance with green plastic laminate with silk-screen printed white lines. The players featured with the table are easily distinguishable and there is a fully rotational goal-keeper that adds a little bit of twist to the game and more tactical possibilities. 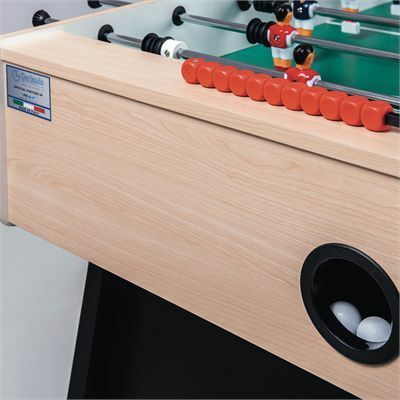 The table includes a plastic chute behind each goal for easy ball retrieval, and it’s shipped with 10 standard white balls. for submitting product information about Garlando F20 Football Table We aim to answer all questions within 2-3 days. 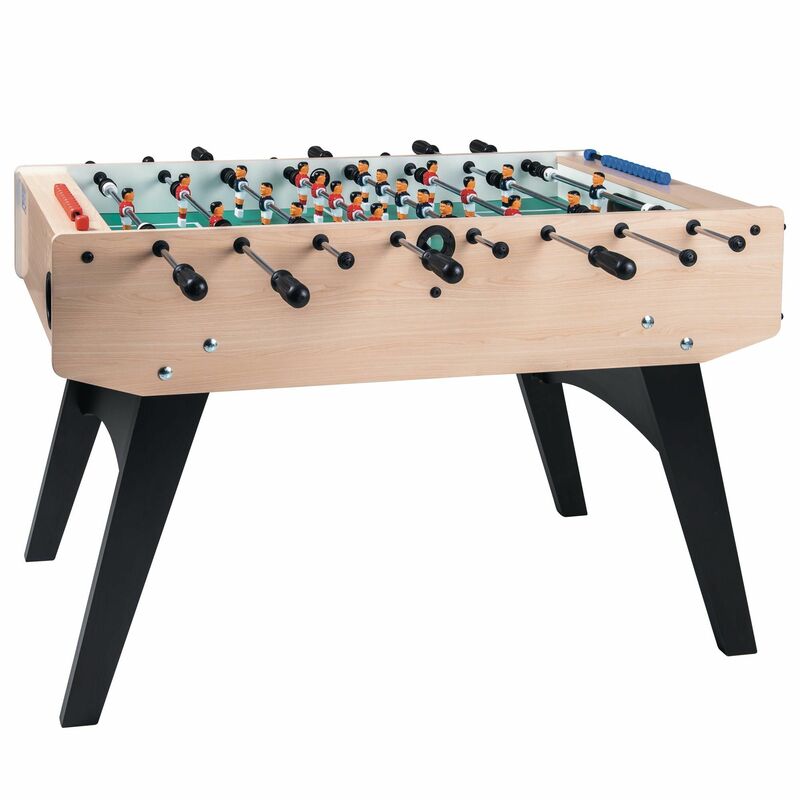 for submitting product information about Garlando F20 Football Table. We aim to answer all questions within 2-3 days. If you provided your name and email address, we will email you as soon as the answer is published. for submitting product review about Garlando F20 Football Table.